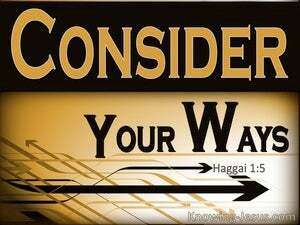 Although it is the second shortest book in the Old Testament, Haggai is compacted full of spiritual perception and wisdom. 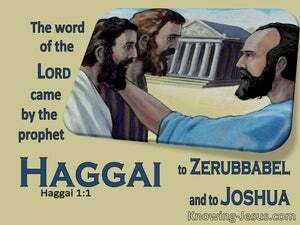 He was one of the post-captivity prophets, who ministered to those who had returned to Jerusalem, during the times of Ezra and Zerubbabel. 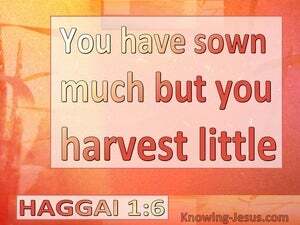 The focus of Haggai's prophecy, is the rebuilding of the Temple. Despite the edict of the great king Cyrus, after Israel's 70 year-long captivity in Babylon, the temple of the Lord continued to lie into disrepair. 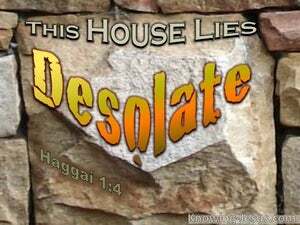 The impelling message of Haggai to his generation of apathetic Jews was get up; get busy and rebuild the ruined Temple of the Lord, which had been lying desolate since the Babylonian invasion and remained neglected, and in utter disrepair.